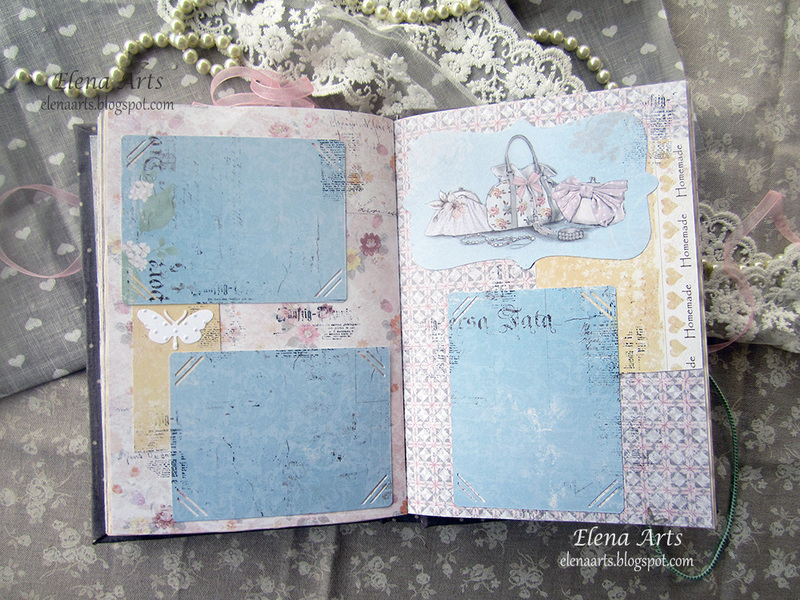 My name is Elena and in the scrapbooking world my nickname is Elena Arts. I was born in Russia but I have been living in Spain since 2000. 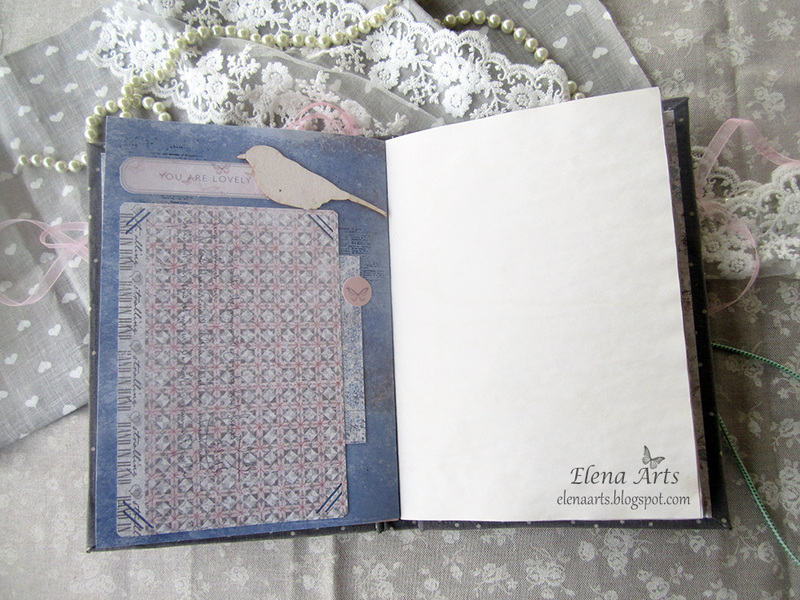 I’m married and I have a little daughter who is my muse and the main source of my inspiration. 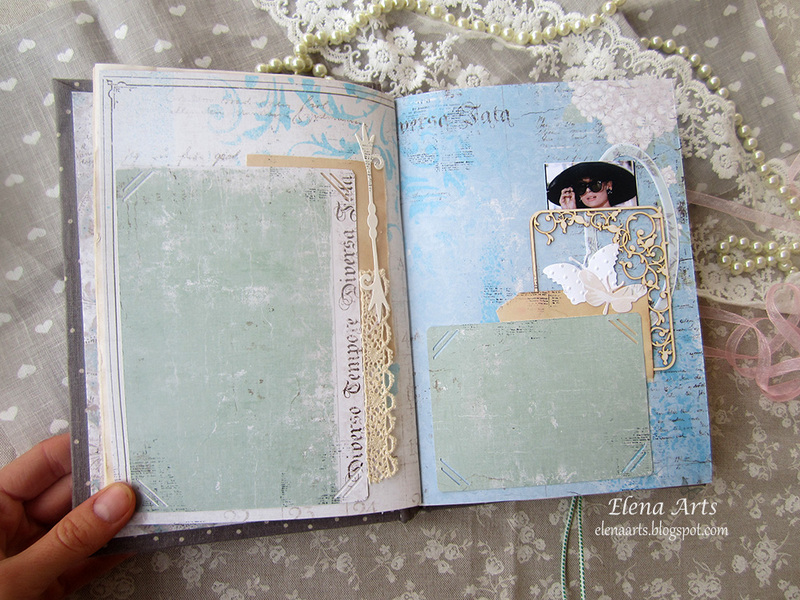 In 2012 I discovered Scrapbooking, and all my world changed. It is great to be able to do what you really love! 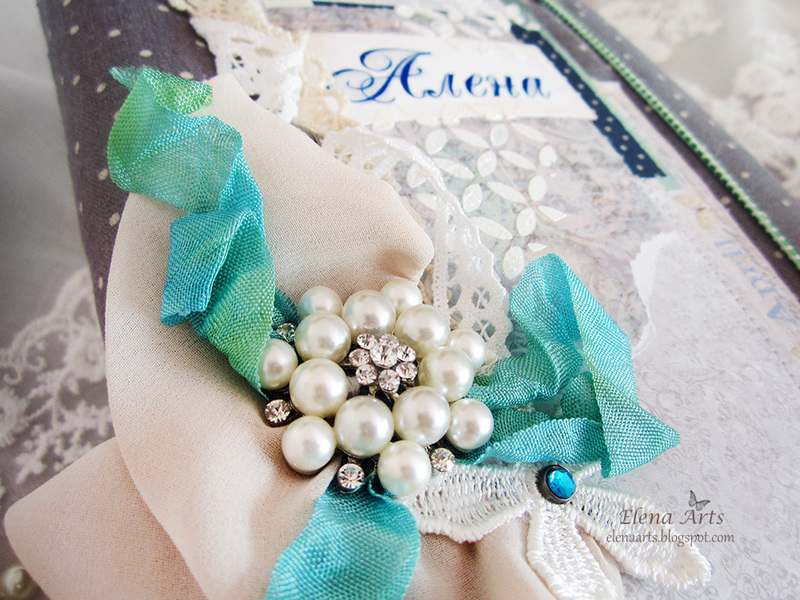 I am very happy when I am creating and I feel full of the energy and the creativity in these moments. 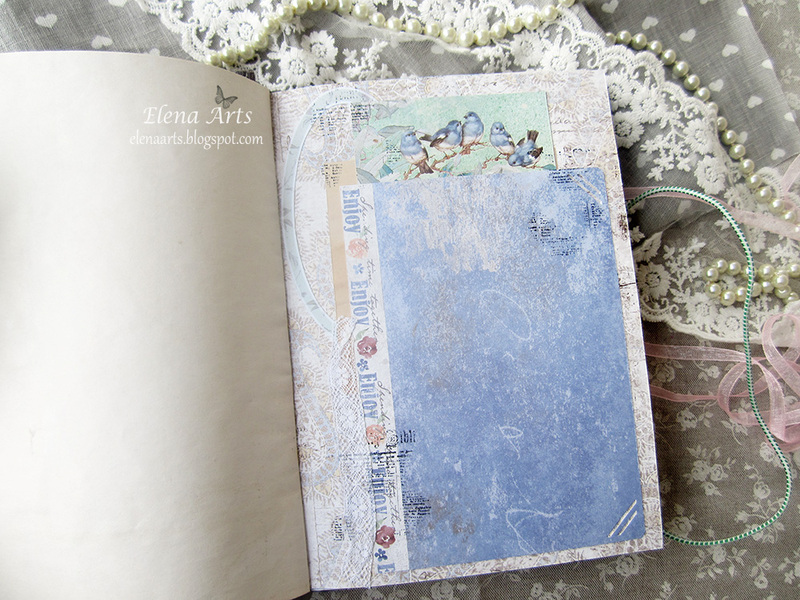 I have made a notebook and albom in one. 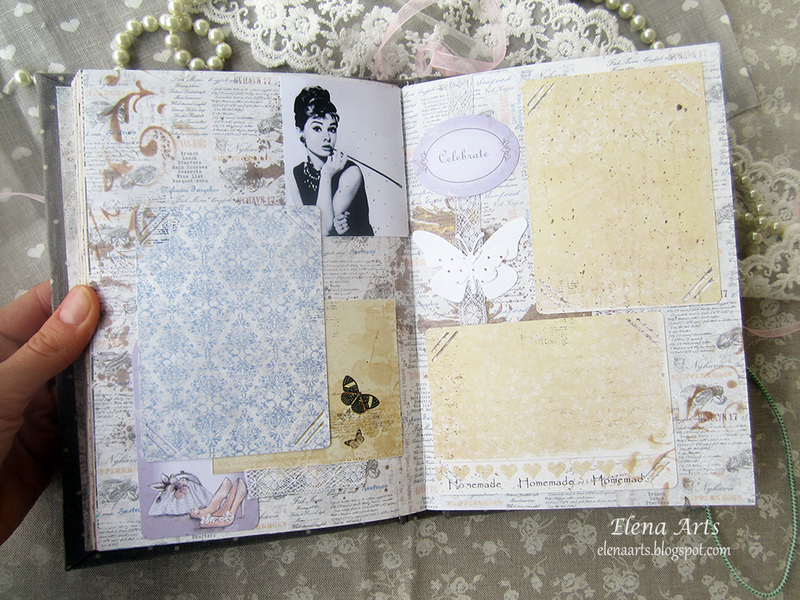 The idea was to create a notebook inspired by Audrey Hepburn in “Breakfast with diamonds ” and done in the style Shabby Chick or Vintage. Inside there are 48 sheets (96 pages) dipped in coffee and 18 sheets (36 pages) decorated for a photos, I also left a few sheets without the decoration. 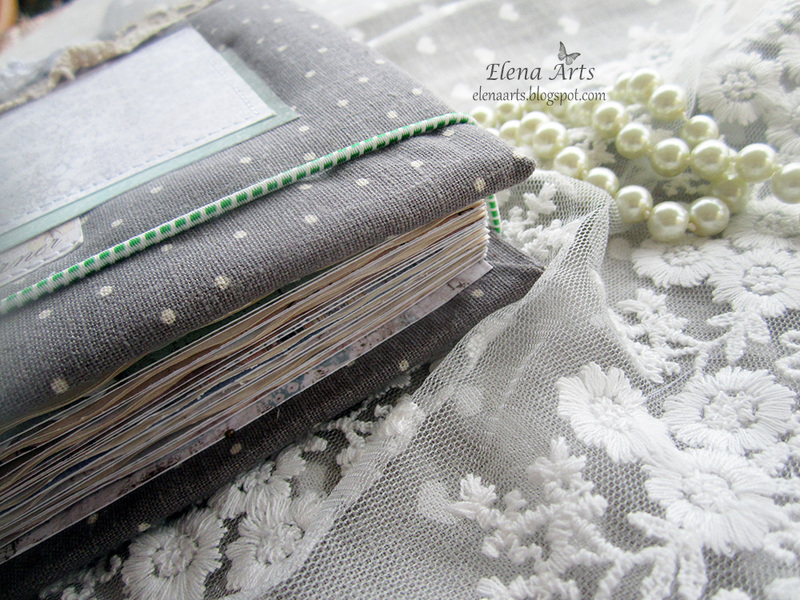 All the papers are from different collections of Maja Design, with their beautiful and elegant prints. 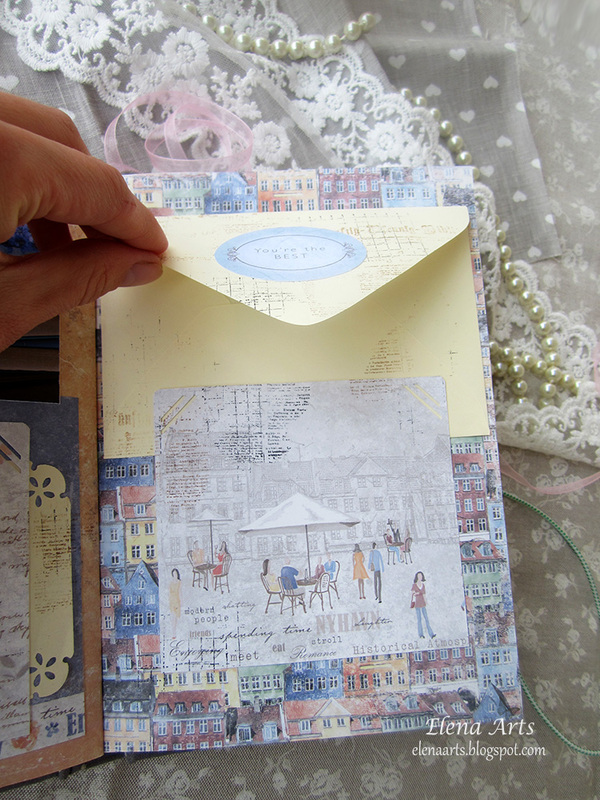 Mostly I have used papers from Nyhavn and Vintage Spring Basics. 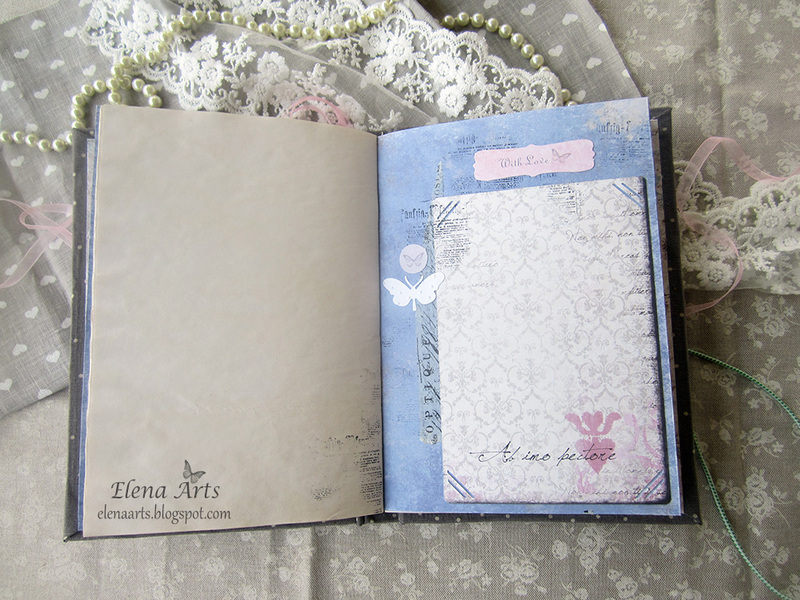 Oh my goodness, this is so beautiful Elena. You really did an awesome job on this album here, and I´m definitely looking forward to see a lot more of your gorgeous work here the next weeks, that´s for sure.